When will be The Young and the Restless next episode air date? Is The Young and the Restless renewed or cancelled? Where to countdown The Young and the Restless air dates? Is The Young and the Restless worth watching? 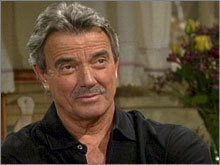 THE YOUNG AND THE RESTLESS has been the number one daytime drama for more than 20 consecutive years. It revolves around the rivalries, romances, hopes and fears of the residents of the fictional Midwestern metropolis, Genoa City. The lives and loves of a wide variety of characters mingle through the generations, dominated by the Newman, Abbott, Chancellor, Baldwin and Winters families. ­ When THE YOUNG AND THE RESTL­ESS premiered in 1973, it revolutionized the daytime drama. It continues to set the standard with strong characters, socially conscious storylines, romance and sensuality. 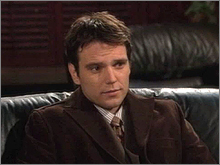 The Young and the Restless next episode air date provides TVMaze for you. EpisoDate.com is your TV show guide to Countdown The Young and the Restless Episode Air Dates and to stay in touch with The Young and the Restless next episode Air Date and your others favorite TV Shows. Add the shows you like to a "Watchlist" and let the site take it from there.